Stunning Paulownia Wood/Bamboo/Carbon/Kevlar/PVC construction. Incomparable performance, excellent tracking, versatility, amazing stability. 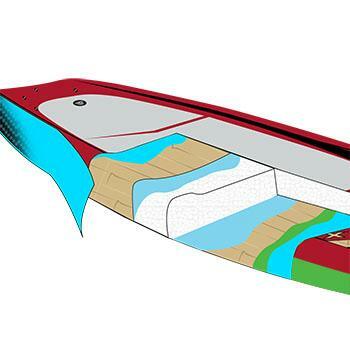 With Touring Fin, Premium Deck Pad, Numerous Deck Bungees and Inserts. Now with 2 Year Warranty! Our Best Selling and Most Popular Touring Boards! Don't Miss Out - Order yours now! 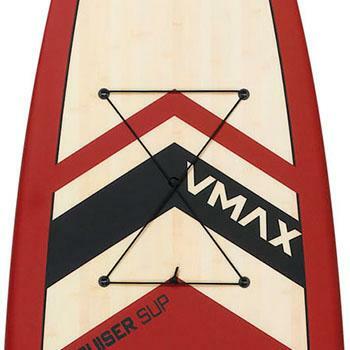 The Cruiser SUP 12'6" V-Max Touring offers incomparable flat water performance. With excellent tracking and amazing stability, the low riding displacement nose is fully engaged to slice through the water efficiently - and quietly. This board is made for speed and ultimate performance. New for 2018 - Very strong Ultra-Lite Paulownia wood construction with Kevlar reinforced rails, carbon/PVC foam/bamboo reinforced standing area and wood bottom! 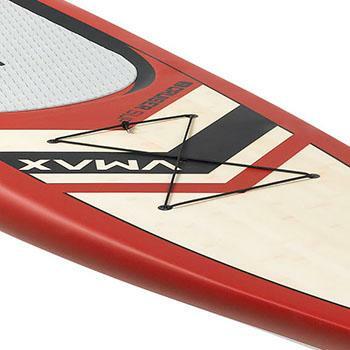 The Cruiser SUP V-Max Touring 12'6" pairs together great looks and an unparalleled flatwater paddling experience. The low-riding displacement nose slices throught the water to help increase your speed, while ample width allows for amazing stability. The V-Max Touring 12'6" is ideal for medium to heavy weight riders, and will support up to 285 pounds. 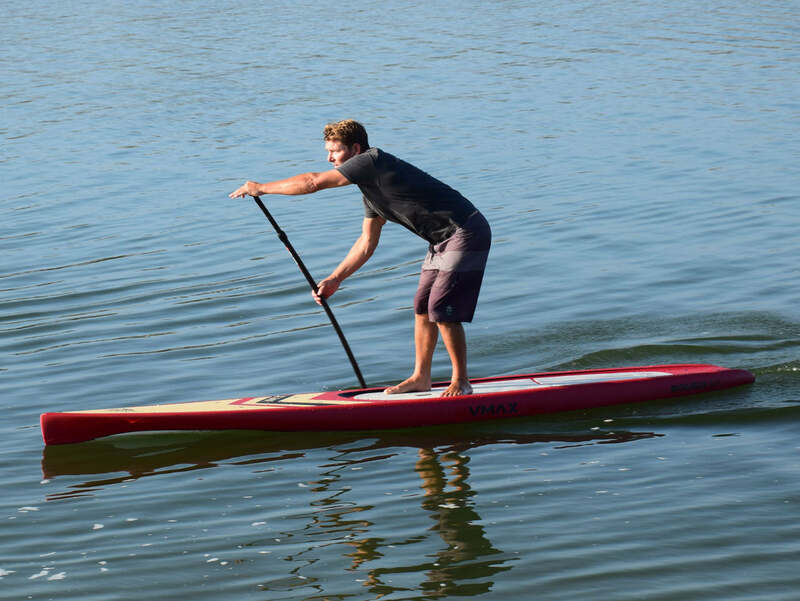 Cruiser SUP's Ultra-Lite molded Paulownia/Carbon/Kevlar/PVC/Bamboo construction offers the lightest weight, highest performing boards, that remain durable. 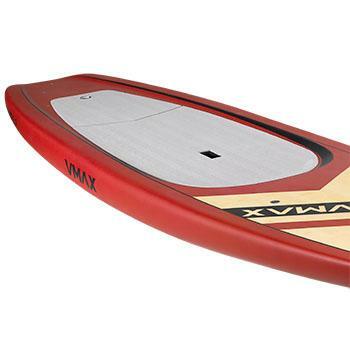 The V-Max Touring 12'6" features carbon/Kevlar/PVC reinforced rails and standing area to increase the durability and longevity of the boards, while remaining light-weight. The stellar graphics, light-weight construction, stability, and speed of the V-Max Touring 12'6" makes it the top of its class. 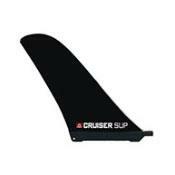 Cruiser SUP Ultra-Lite boards offers a class leading, user friendly "tough", high quality bamboo construction. Tough: In addition to three layers of 4oz. fiberglass on top and 4oz/6oz layers on bottom, (5 layers of fiberglass wrapping the rails), there is full-length .5mm real bamboo veneer reinforcement (stronger than fiberglass) sandwiched between the first and second fiberglass layers on top and bottom. Carbon and PVC foam reinforcement in the standing area to prevent heel dents. Kevlar cloth is added to the rails, nose and tail for extra ding resistance. The quality CNC shaped 14kg EPS core is strong to prevent heel dents. 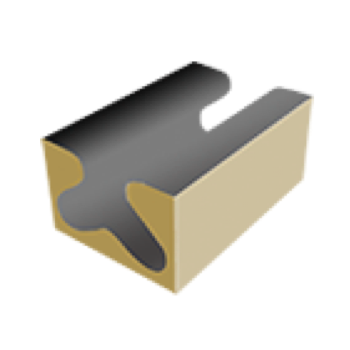 This combination is molded for extra strength, impact resistance and lighter weight. The rails are painted in matte finish for improved performance and custom look. The result is a strong and durable premium construction. The Ultra-Lite Technology features CNC shaping, carbon patch under the deck pad for added stiffness, and Kevlar rail reinforcement. The end result is a board that is light, stiff, durable, and exceptionally high performance. Large opening and curved inner surface for ease and comfort when transporting your board to the water. 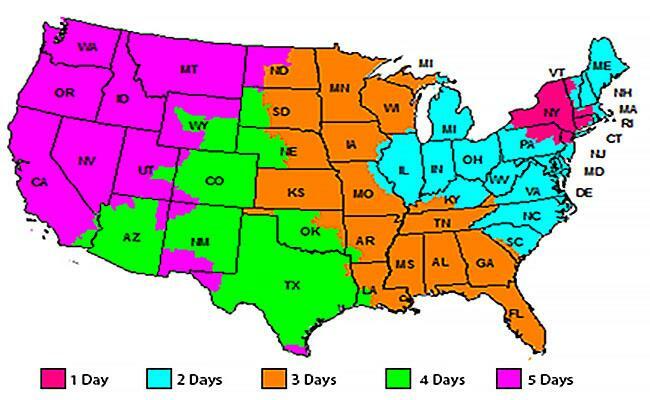 Great communication with the team, both while I was choosing the boards and during the shipping process. The boards arrived with all the correct pieces I had ordered. The boards are really beautiful, and are fast and track well in the water. I am thrilled with the quality, and very happy to have been able to buy two of them on sale. Will recommend them wholeheartedly. Very happy with our purchase, quick delivery and great customer service. great board. very happy with a fast and safe delivery. Board lived up to its advertisement. Board tracks well and is very stable in rough and confused water.